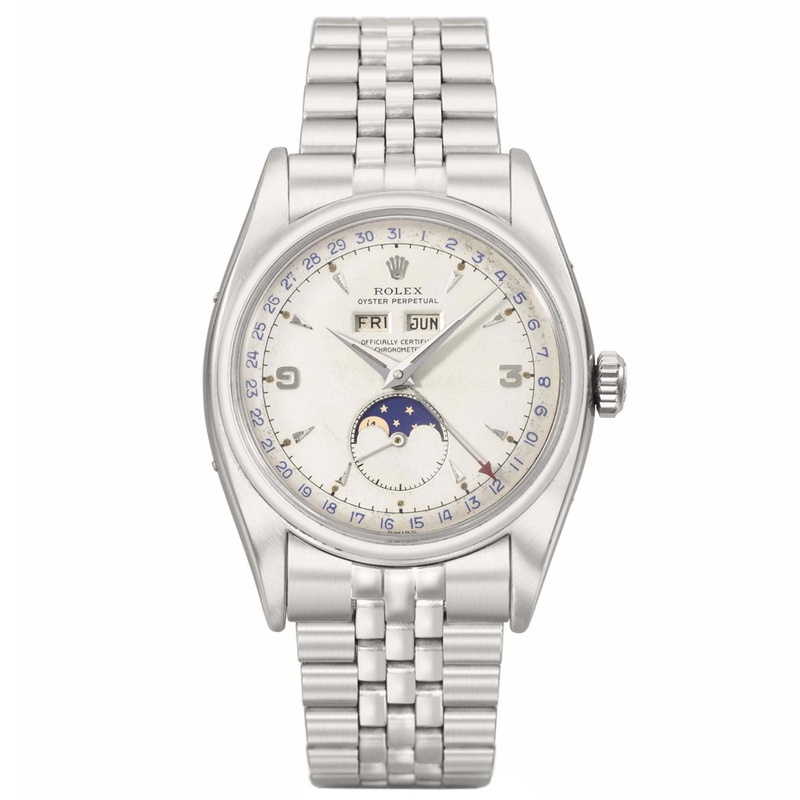 You have to go back to the late 1940s to find a Rolex with moon phase. 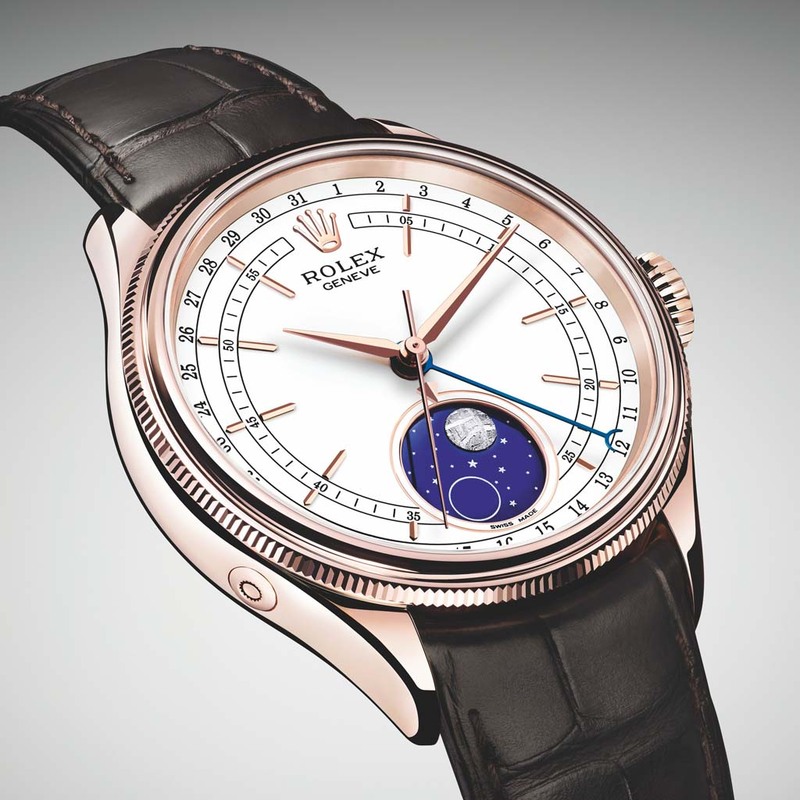 Almost 70 years after that Rolex introduces this Rolex Cellini Moonphase Everose. A pink gold dress watch in the relatively unknown Cellini collection, although the Cellini collection was already launched in 1928. The name Cellini comes from Benvenuto Cellini, an Italian goldsmith, writer, sculptor and musician from the 16th century who mainly lived in Florence. But first we take a look at the most recent moon phase predecessors of the Rolex Cellini Moonphase Everose. The most recent Rolex models with moon phase are the Rolex ref. 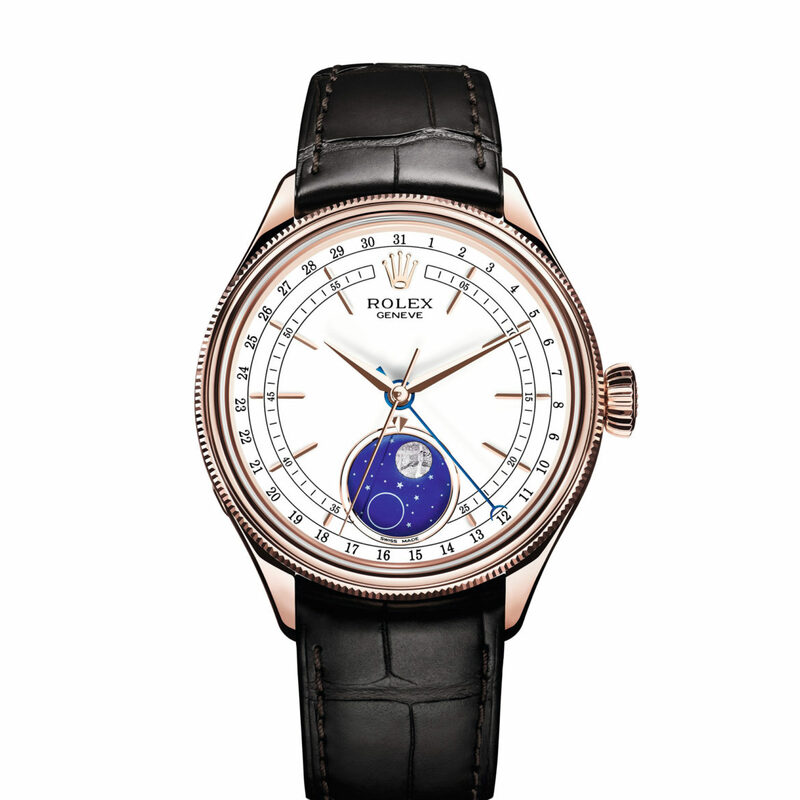 8171, also known as Padellone, and the Rolex ref. 6062. The ref. 8171 was produced between 1949 and 1952. 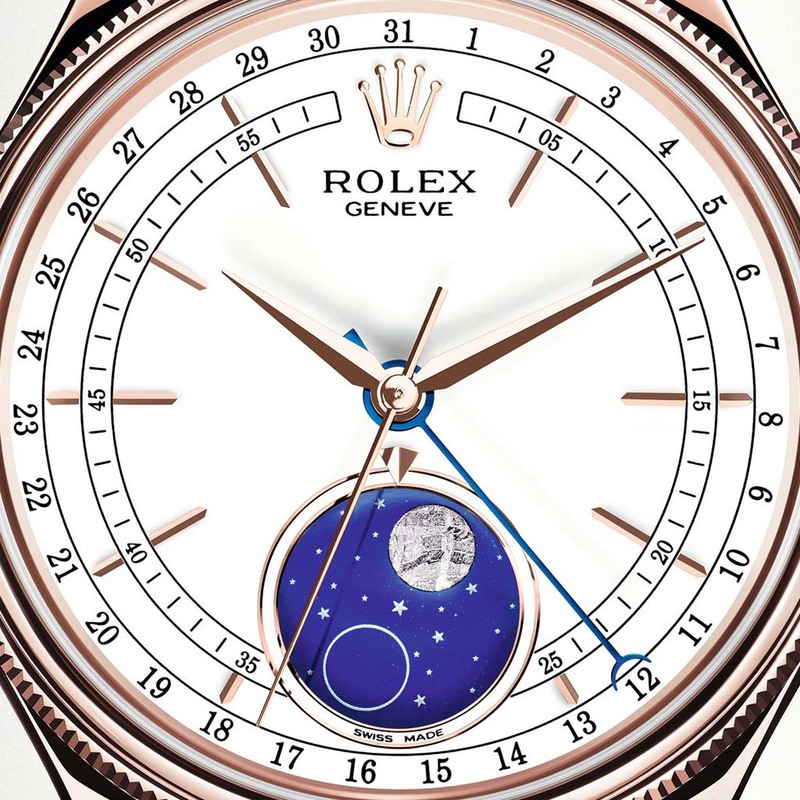 It has a 38-millimeter case with the automatic Rolex caliber 10½’’’ and features a triple calendar: moon phase, day and date. “Padellone” is Italian for a large frying pan: most watches were much smaller at that time (about 35 millimeters for the average men’s watch). The model is highly sought after by collectors so current prices start at 120-150k and can go up to far over a million. The ref. 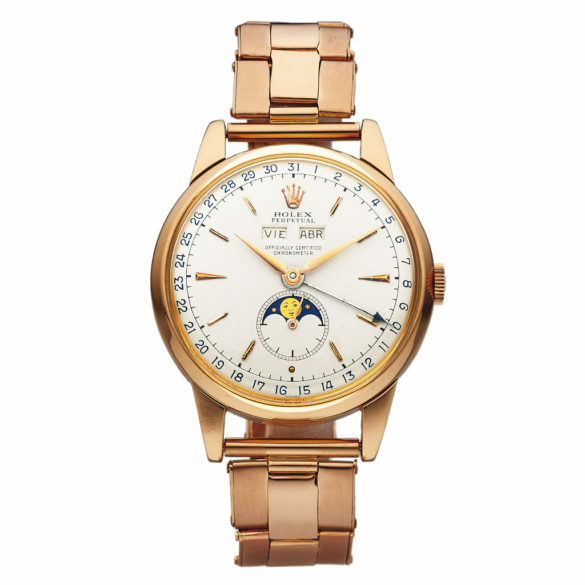 6062 is 36 millimeters, has the automatic Rolex caliber 9¾’’’ and was launched at the Basel fair in 1950. It also features a triple calendar. It was available in steel, yellow gold or pink gold and was only produced for three years. Like the ref. 8171 it is a very rare time piece. If you want one now, prices start at around 150k and can go up to over a million. 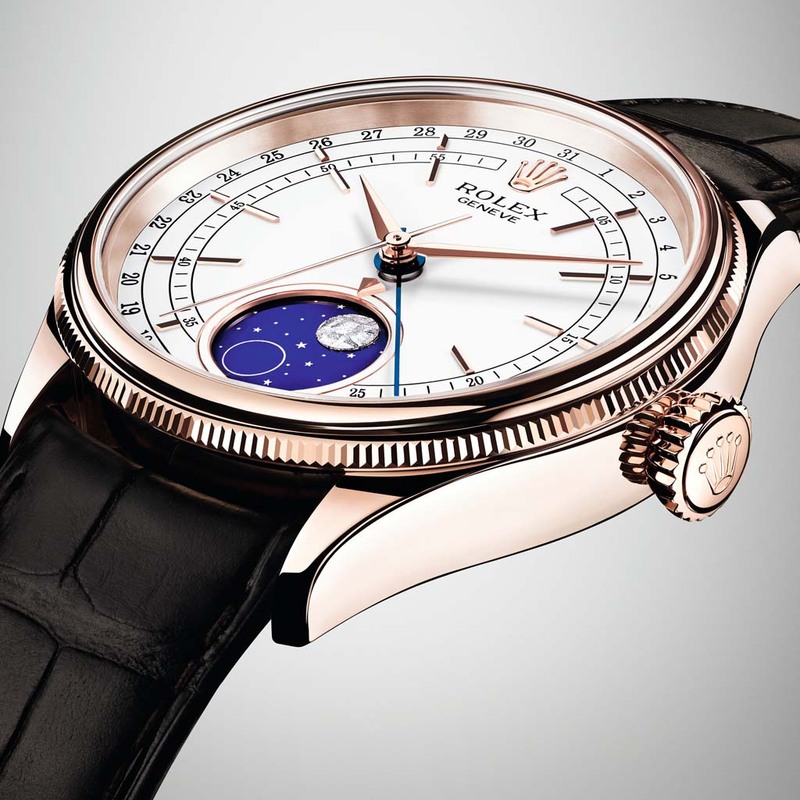 This Rolex Cellini Moonphase Everose is not a triple calendar (unfortunately, perhaps?). 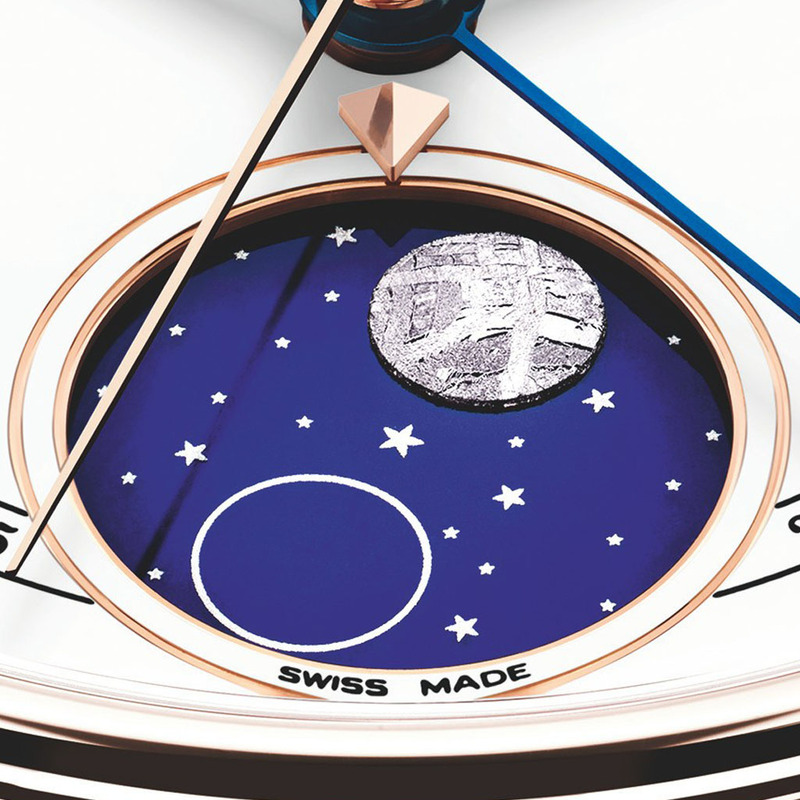 It features a moon phase with an astronomical accuracy of 122 years, and date. The ref. 6062 and ref. 8171 have small seconds on the subdial of the moon phase, this new model has a large central seconds hand. A great thing is that the date is indicated by a large hand, just like the two old models. Furthermore, the old models had the classic ‘smiley’ moon while the moon for the new model is made from a piece of meteorite. 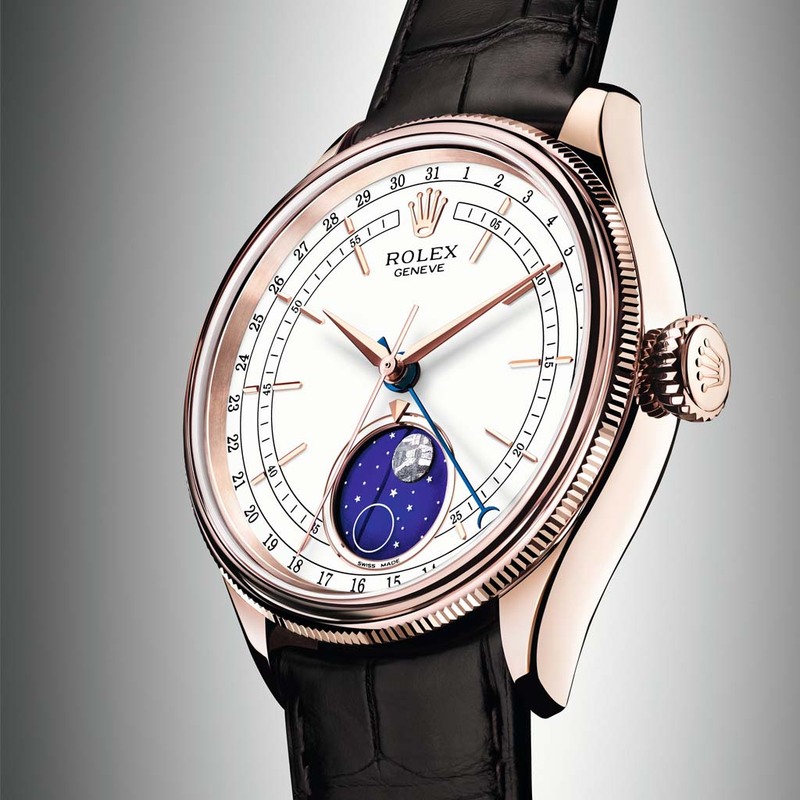 The 39-millimeter case is from Everose, Rolex speak for pink gold. It has a double domed and fluted bezel, domed case back and a white lacquer dial. 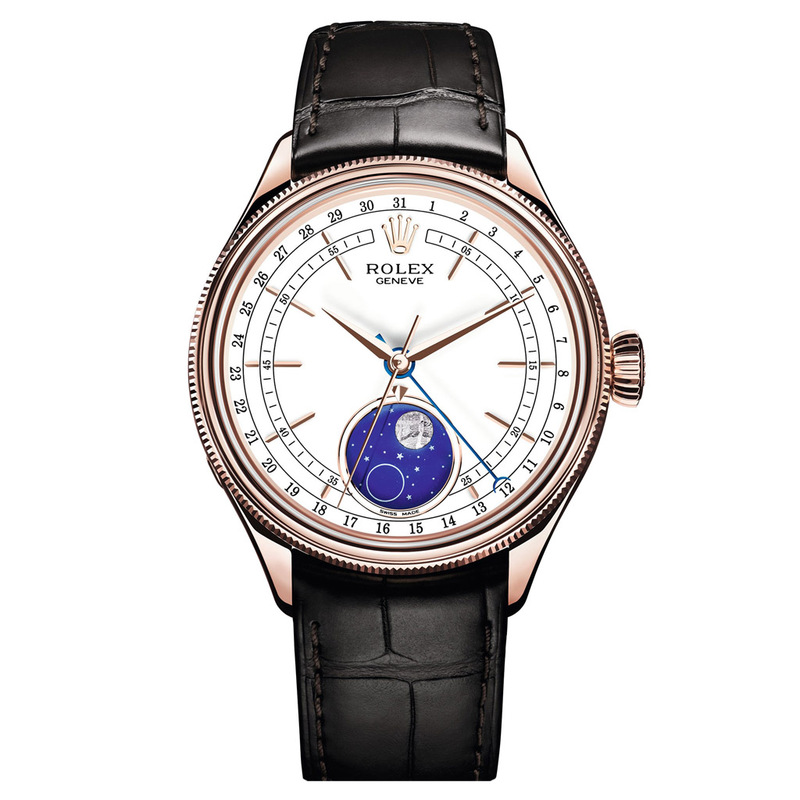 The hands are white gold and it comes with a brown alligator leather strap. All ingredients for a classic dress watch. And maybe, if you wait for almost seventy years, the value will quadruple.